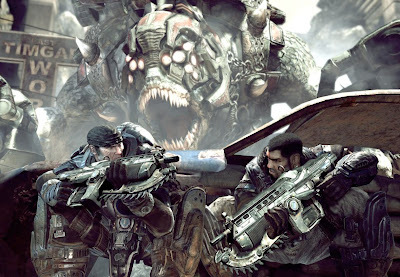 Gears of War 2 is looking better and better every time I watch a video, especially the many different types of Locust Horde. Take the Bloodmount for example; this creature is pretty damn vicious. The thing uses its arms to walk and if it gets too close to you, you're history. These Bloodmounts can even walk on top of obstacles to get to its prey and most importantly, they're fast. If you see one of them, I'd stay back as far as possible or else just run for your life cause you won't last long if they get to you.